Nowadays, there are many human pose estimation systems that extract skeletons or skeleton points from depth sensors. These action identification systems have been developed for somatosensory games for entertainment use, and some of these have been used for medical purposes. Most of these have proven that the action identification technology is practical, but its medical use has not been confirmed. Therefore, besides the general treatment of mental illness, we tried to add a rehabilitation program to promote physical fitness based on a vision-based action sensor system. It is expected to effectively improve the physical functions of patients with mental illness. There are some somatosensory games that claim that they can achieve the effects of sports and entertainment, and some of these have been used for the physical training and physical rehabilitation, but none of them have been used for the physical rehabilitation of patients with schizophrenia. Thus, the purpose of this study was to examine the effects of a rehabilitation system with efficient vision-based action identification techniques on physical fitness promotion in patients with schizophrenia through the sequential-withdrawal design of a single subject research. Three patients with schizophrenia were recruited. Each subject received examinations for the 6-Minute Walk Test (6MWT) and Timed Up and Go Test (TUG) in each period, and received physical training with a rehabilitation system with an efficient vision-based action identification technique during the treatment phase. The results of this study were as follows. First, the rehabilitation system was easy to operate and use, even for people with mental illness. Second, compared with traditional physical exercise, patients with schizophrenia are more willing to accept physical fitness training in the form of somatosensory games rather than traditional treatments. 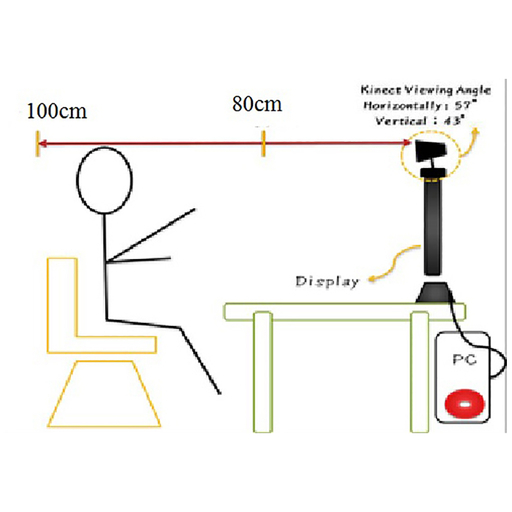 Third, the rehabilitation system with efficient vision-based action identification techniques is suitable for physical promotion programs for patients with schizophrenia. Fourth, the program in the rehabilitation system helps improve the physical performance of people with schizophrenia. Fifth, the system keeps a record of the rehabilitation processing and physical status as a treatment document of patients with schizophrenia. Yen-Lin Chen, Chin-Hsuan Liu, Chao-Wei Yu, and Posen Lee, Effects of Rehabilitation System with Efficient Vision-based Action Identification Techniques on Physical Fitness Promotion in Patients with Schizophrenia, Sens. Mater., Vol. 30, No. 11, 2018, p. 2653-2664.